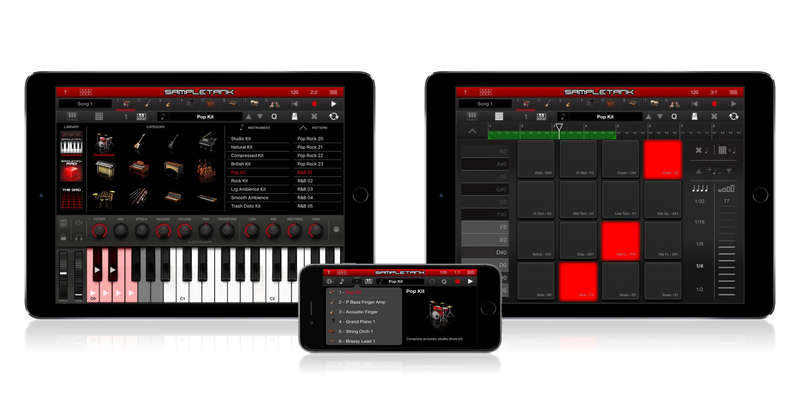 IK Multimedia, the developer and producer of professional studio-grade audio apps and accessories, has officially announced the launch of SampleTank for iOS version 2.0, which provides expanded capabilities and greater efficiency. To mark the occasion, we’ve teamed up with them once again to offer you a chance to have this wonderful package, plus possibly an extra gift, for free. 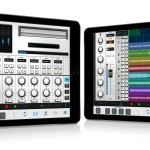 First available for mobile musicians back in 2011, SampleTank gives a MIDI controller the power to be a grand piano, organ, flute, saxophone, bongos, or even create DJ beats and vocals with its many synthesizing capabilities. In fact, there are nearly 2,000 total sounds available — a portion indeed via supplemental in-app purchase — among six main and 15 subcategories. Easier than ever before, the instrument browser is the place to discover, find, preview, as well as tune that exact sound you desire, down to the pattern and precise tempo. Of course, perusing the library is only the beginning. Configure up to eight channels to playback on keys or pads. Also overhauled in the second major revision, the controller UI now has two default setups. For a live performance, the majority of the interface is allocated for input. You can choose large pads to simplify triggering a variety of sounds or a traditional keyboard for a more natural and effortless playback of wide range, linear pitched instruments like pianos, harp, etc. In Song Mode, parts of the interface are reassigned and regrouped to recording tools, the entire library rather than presets, and so on to improve the workflow across the several step process. For further convenience, you can pair SampleTank with the company’s peripherals. Similar to the ‘soft’ inputs earlier, IK offers two hardware devices that work well on different preferences. Utilize the compact, yet comfortable and familiar sized iRig Keys PRO keyboard for pianos, organs, vocal chains, and the like or connect the iRig Pads for percussion, rhythmic beats, sound bites, etc. For those who want a larger input and tactile feedback. If you haven’t yet joined Twitter, sign-up for a free account right now. By tweeting either of the above messages, you’re granted one entry into this giveaway. You may earn an additional entry by leaving a relevant comment below, for a total of two possible. Any entries must be posted before Aug. 26 at 11:59 p.m. PDT to qualify. Winners are selected at random from all valid submissions. If you do not respond to a notification within 72 hours or aren’t able to provide a valid US mailing address, which excludes a Post Office box, your gift is forfeited and offered to another qualifying entrant. Lastly, don’t hesitate to download the no-risk version of SampleTank and put it to the test with your imagination and skills.